Montréal’s Metaphore Design was honored on October 2, 2015, at the prestigious Shaw International 2015 “DESIGN IS” Competition. 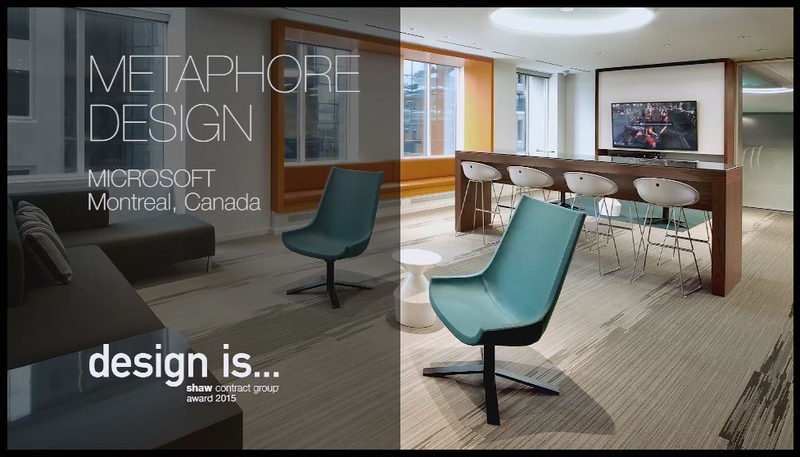 Recipient of the “Market Winner” prize in the “Small Office” category for its Microsoft Montréal Conference Centre project, the Metaphore crew also won the “Global Winner” title (Public’s Choice Award) for the same project. Judged by a panel of 20 industry experts, the project stood out among the 477 projects submitted by top international design firms.